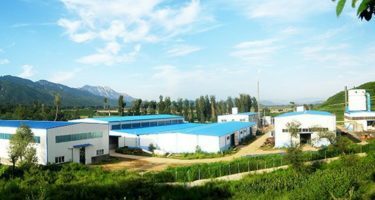 About Us - MUHU (China) Co., Ltd.
MUHU, one of the major manufacturers of concrete admixtures in China, was established in 1988 in Huairou, Beijing. We specialize in concrete admixture research, manufacturing, and distribution. MUHU is a high-tech type business having state-of-the-art manufacturing facilities, testing equipment, and sophisticated research capability. The company has an area of 65,000 m2 and around 200 employees, among them 25% are technical employees. The company has four manufacturing locations in China and we are one of the key businesses exporting concrete superplasticizers in China. We ship our products to every corner of the world and have international customers visiting us frequently from Vietnam, South Korea, Singapore, India, Bangladesh, Pakistan, Mongolia, Iran, UAE, Saudi Arabia, Sudan, Brazil, Argentina, Uruguay, Chile, South Africa, and many more. 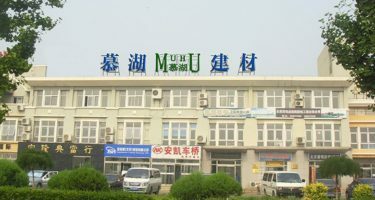 MUHU has three sister companies: MUHU (China) Construction Materials Co., Ltd., focusing on MUHU brand product marketing and exporting; Beijing MUHU Concrete Admixture Co., Ltd., manufacturing various MUHU brand products; Beijing MUHU New Materials Technology Co., Ltd. (MUHU New Materials) is engaged in the research and development of new concrete admixtures, customer training, admixture production equipment and the customer on-site technical support. 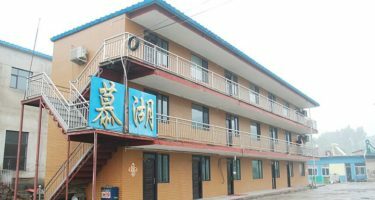 MUHU (China) Construction Materials Co., Ltd. from the beginning of 2008 entered the international market, customers have been distributed in more than 50 countries and regions, and in Dubai, The United Arab Emirates established a branch. MUHU is the image of China’s exports of concrete admixture brand and also China’s superplasticizers exports of leading enterprises. Beijing MUHU Concrete Admixture Co., Ltd., produces over 70 different products, including high range water reducers, set accelerators, set retarders, air-entraining admixtures, pumping aids, anti-freezing products, etc. These products are widely used in industrial and civil engineering, public infrastructure, hydroelectric engineering, and concrete ready-mix products. In addition, the company produces concrete repair and strengthening materials, flooring materials, grouting & anchoring materials, waterproofing and joint sealants materials, dry-mixed mortar etc. MUHU products have been used in many national projects. Beijing MUHU New Material & Technology Co., Ltd through continuous technological improvements and innovation developed a leading domestic water reducing agent equipment and products, products are high-performance and focused more on environmental protection; equipment has reached a high level of intelligence, more convenient operation, product quality stabilized to meet the Chinese enterprises’ upgrading admixture needs. In addition, MUHU provides professional services of technology know-how transfer of concrete admixtures, including process design, manufacturing, application, and management expertise. We not only provide customers with quality products and services, but also provide customers with specialized technical support services. The customers entirely focus on the local market to develop and sell. MUHU provides customers with worry free lifetime support services. We try to be the best in our field, which requires the people in MUHU have specific goals, always keep a clear mind, and understand the business situation. The competitive industry of concrete admixture has witnessed that MUHU is excellent in all areas.